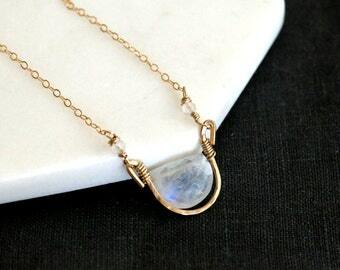 Gorgeous moonstone and moon charm necklace. 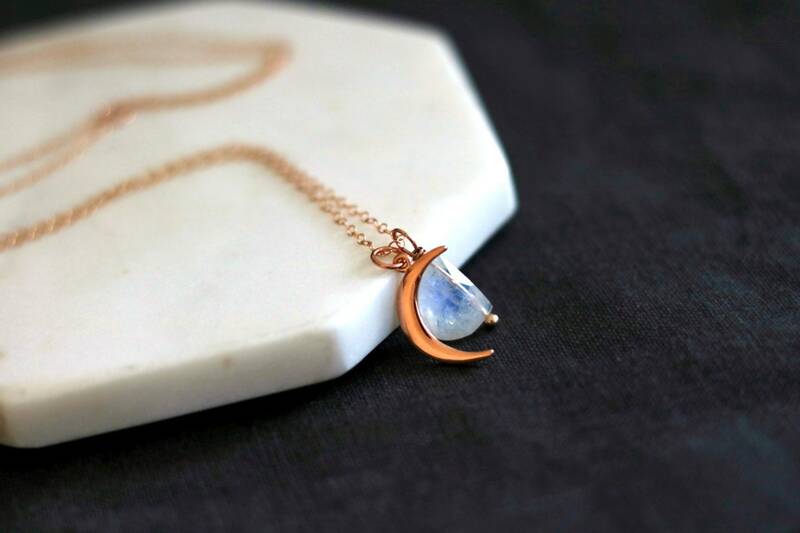 Features a Rainbow Moonstone paired with rosegold crescent moon charm on 14K rose goldfilled chain. This faceted moonstone gemstone has beautiful iridescence and flashes of blue when the light hits it. 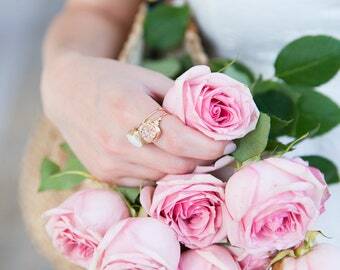 The stone was cut exclusively for my shop and I've paired it with a beautiful rosegold crescent moon. Think bohemian vibes for a festival feel! 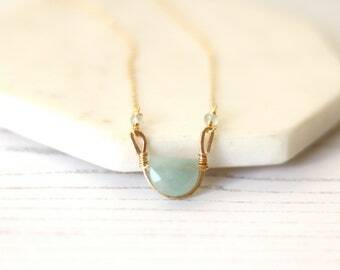 You can opt to have just the Crescent moon pendant with chain. Choose from the menu. 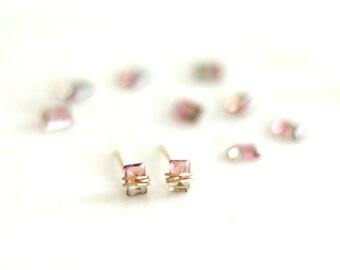 Available in 14K goldfilled with Gold moon charm. I also have labradorite and Lapis Lazuli stones available- please ask! 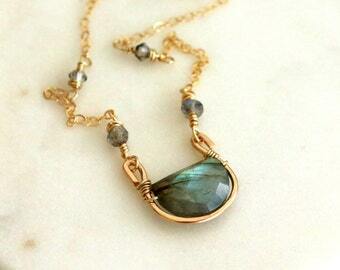 (Labradorite is sea blue/green and grey) and Lapis is royal blue flecked with gold.